Today would have been rock 'n' roll pioneer Bill Haley's 92nd birthday. He didn't make it. He died in 1981 at the age of 55 in Harlingen, Texas. He's best known for his hit "Rock Around the Clock," which he recorded in 1953 -- nearly three years before Elvis Presley's "Heartbreak Hotel" was released. "Rock Around the Clock" was used as the theme song to the 1955 juvenile delinquency cautionary tale Blackboard Jungle. 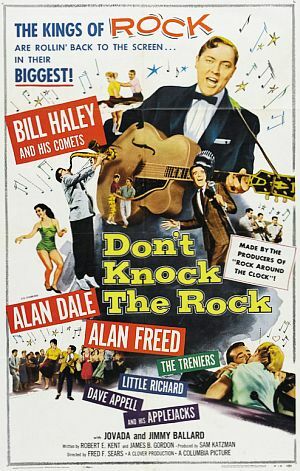 That lead to appearances by Bill Haley & His Comets in two 1956 movies, Rock Around the Clock and Don't Knock the Rock. But throughout his troubled life, Haley never received the respect he deserved as a rock innovator. Bill Haley is the neglected hero of early rock & roll. Elvis Presley and Buddy Holly are ensconced in the heavens, transformed into veritable constellations in the rock music firmament, their music respected by writers and scholars as well as the record-buying public, virtually every note of music they ever recorded theoretically eligible for release. ... he's often treated as little more than a glorified footnote, an anomaly that came and went very quickly, in most histories of the music. The truth is, Bill Haley came along a lot earlier than most people realize and the histories usually acknowledge, and he went on making good music for years longer than is usually recognized. ... in May 1980, Haley set off to tour once again, this time to South Africa for three weeks of shows. But there, according to his wife Martha who traveled with him, he had some bizarre moments on stage, telling stories to his audience rather than singing. Back in Texas, in the fall of 1980, family members noticed more odd behavior, including his son Jack, who had come for a brief visit that proved troubling. Old friends and former business associates were getting rambling, late night phone calls as well. At this point, he appears to have begun living in the pool house, while the family stayed in the main house. In the fall of 1980, Haley was picked up by the police and detained, then bailed out by Martha, who had him see a psychiatrist, who gave him some medication. Some believe Haley may have had an underlying anxiety disorder, leading to a chemical imbalance in the brain, with Haley then self-medicating with alcohol. In any case, there were more episodes of Haley’s odd behavior, some paranoia, and becoming almost a Jekyll-and-Hyde type character. There had also been news reports of Haley having a brain tumor, but these appear to have been fabrications, or false stories used to keep him from further touring. My father didn't live up to his responsibilities as a father and I think that troubled him and ate at him, but the fact he became an alcoholic really spun him out of control and there was a physical deterioration and mental instability. There were rumours he had brain cancer and there were other explanations for his erratic behaviour. He would spend hours and hours in the middle of the night calling friends and acquaintances, myself included, but I can tell you of one instance in particular where he said “I'll call you in the morning”. Now I didn't think he would, but he did and he was sober which was the exception not the rule. And he was clear, alert and lucid. So I think the drinking was the real cause of the behaviours which leads to the speculation as to what the real issues were. And I gotta say this about my dad, he had a tendency to fabricate things – why I don't know – but I think it goes into the cause of his alcoholism which was guilt. If the question is what do I think killed him, it was alcoholism exacerbated by a guilty conscience. That's my best answer. ... In some ways, no doubt, the lack of recognition contributed to his sad ending, breaking his spirit. True, Haley had his demons and insecurities, not least was his life-long impaired vision in one eye. Others suggest that he may not have had the personality for the life he chose and was just not a good fit for the high-exposure world of pop music celebrity. ... In the end, Bill Haley was a musician, with an irresistible itch to scratch – to record, to write, to create something new. Which he did in some profusion. 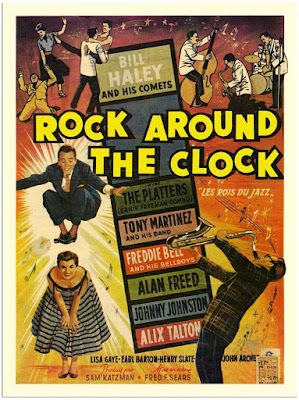 To commemorate Haley on his birthday, let's go a bit beyond "Rock Around the Clock." 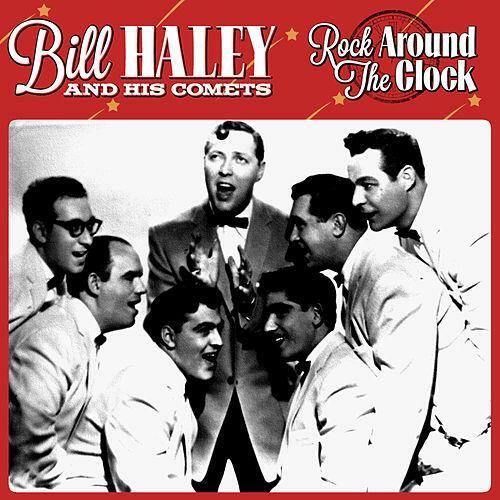 Here are some other songs by Bill Haley & His Comets. First one called "Crazy Man Crazy." This one has been a favorite of mine since childhood. Here's one that indeed is "barbaric."